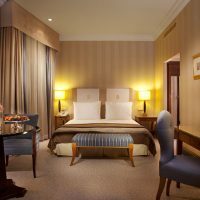 Originally built in 1925 for the passengers of the Orient Express, the Esplanade Hotel Zagreb is Zagreb’s most luxurious and prestigious five-star hotel. 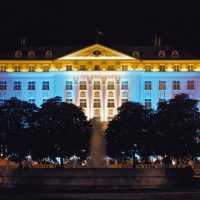 Esplanade Hotel Zagreb was built in 1925 to offer a luxury stopover to the rich passengers of the famous Orient Express train. 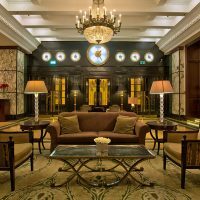 Emblematic of Croatia, the Esplanade Hotel Zagreb enjoys a long tradition and a well-established reputation, assets presented at the International Luxury Travel Market 2017 in Cannes. 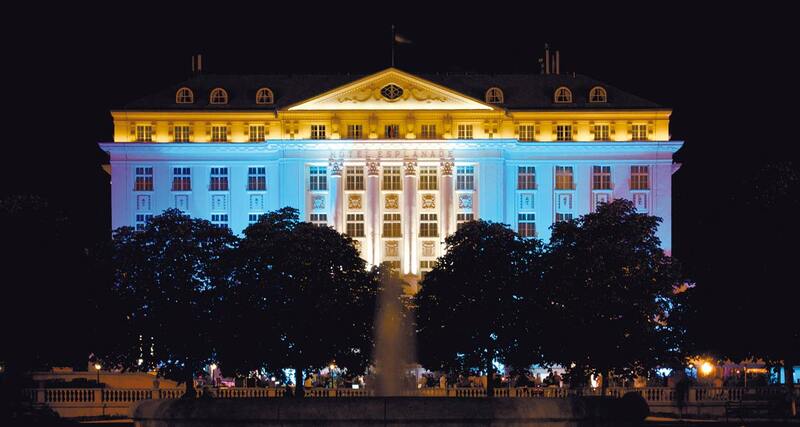 Its most famous and graceful building in Zagreb is considered a jewel of the national heritage. 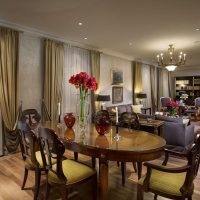 Completely renovated in 2004, the Esplanade Hotel Zagreb is Zagreb’s most luxurious and prestigious five-star hotel. 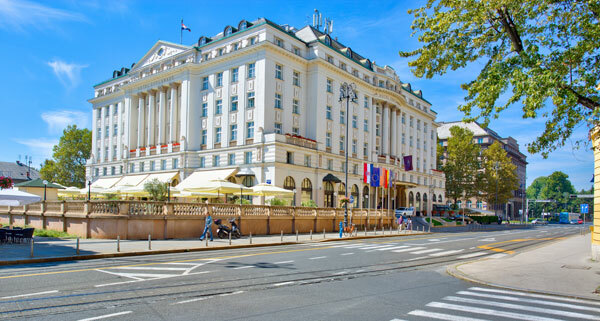 Located in the heart of this historic city, within walking distance of the city center, the main train station and the botanical garden, the Esplanade Zagreb Hotel is an icon of Art Deco, renowned for its discreet, elegant and highly professional service. 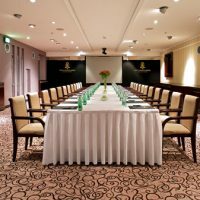 Always at the heart of Zagreb’s social scene, the hotel includes among its distinguished guests some of the world’s most famous celebrities – politicians, movie stars, singers, artists. 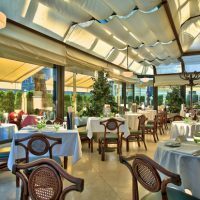 Its famous Oleander Terrace, the largest terrace in the city center, was once described as “the end of the Balkans and the beginning of civilization”. 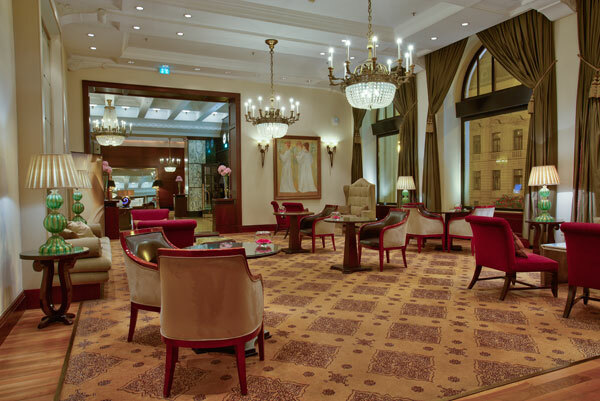 The Esplanade Hotel Zagreb combines elegant luxury with an authentic sense of hospitality and a glorious tradition that portrays the spirit of the times and reflects its Art Deco heritage. 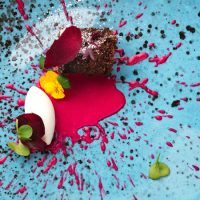 The hotel has recently been refurbished, adding contemporary touches while retaining its historic cachet. 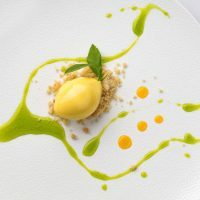 The effect was described by a guest as very old Hollywood glam. 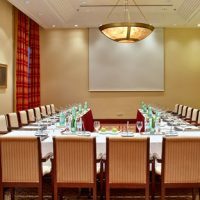 The hotel offers 208 spacious, luxuriously furnished rooms and suites, gourmet restaurants, bars and lounges, conference rooms, a fitness center, a spa with scented baths and much more. 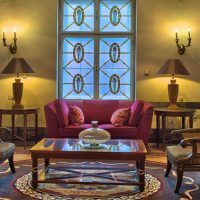 Reopened in 2004 after a complete renovation, the hotel combines old charm and modern amenities, supreme comfort and Art Deco tradition. 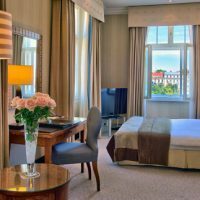 The Esplanade Hotel Zagreb has 208 beautifully furnished rooms with contemporary touches in keeping with the history of the building. 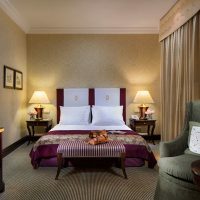 The rooms, considered as private sanctuaries, have spacious and elegant marble bathrooms, with heated floors and mirrors, bathtubs and walk-in showers, luxury toiletries and fluffy bathrobes. 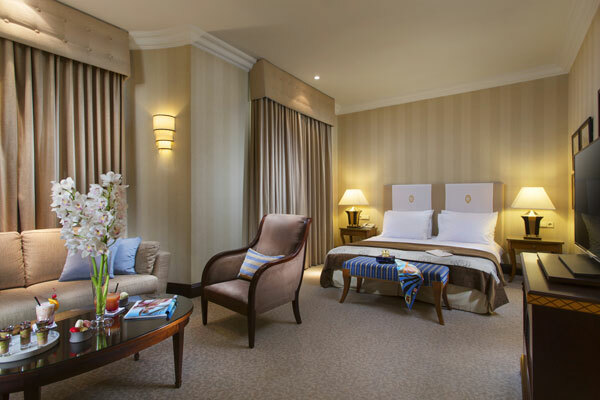 The accommodation is divided into 147 superior rooms with an average area of 28 m2, 48 deluxe rooms of 36 m2 and 13 deluxe suites furnished for recreation with separate living areas and measuring approximately 60 square meters. 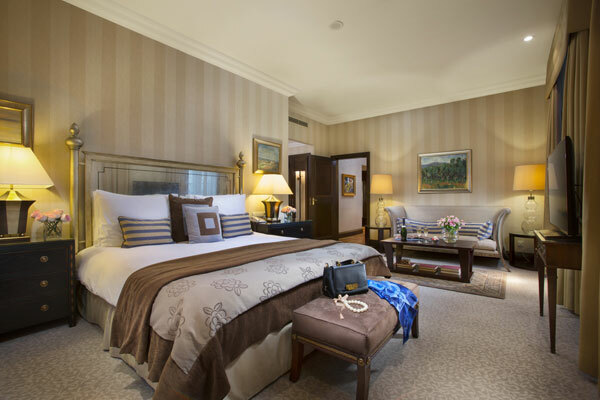 The Esplanade Suite – The Presidential Suite – spreads its 120 m2 of elegance and offers a wonderful view of the park’s terrace and fountain. 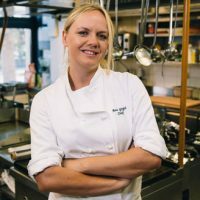 The French Bistro boldly mixes Croatian cuisine with Parisian tradition. 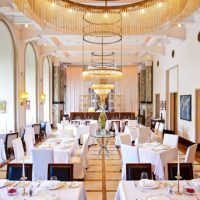 A celebration of the hotel’s decoration heritage, it features a glazed seating area and a terrace with a grill menu. 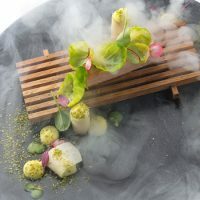 It is focusing on local seasonal products, including Istrian truffle, sea asparagus and ceps, as well as traditional dishes such as the famous Esplanade Štrukli. 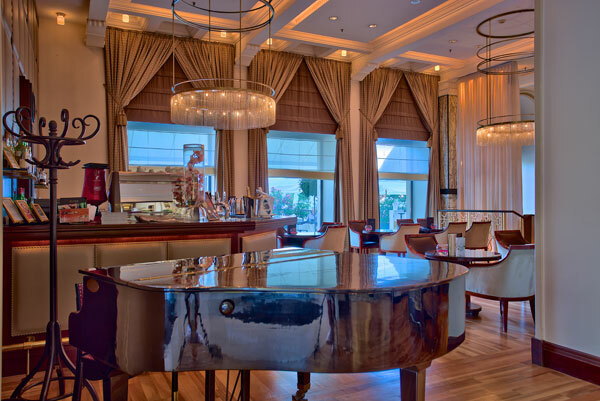 L’Esplanade 1925 – Lounge and Cocktail Bar is a very elegant Art Deco bar run by Croatia’s #1 mixologist. 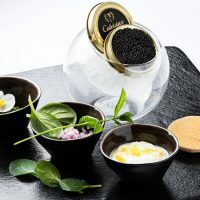 It perfectly blends the traditional – with the afternoon teas inspired by the Orient Express – and the iconoclast, with its famous happy hour enlivend by the lounge music of a resident DJ. 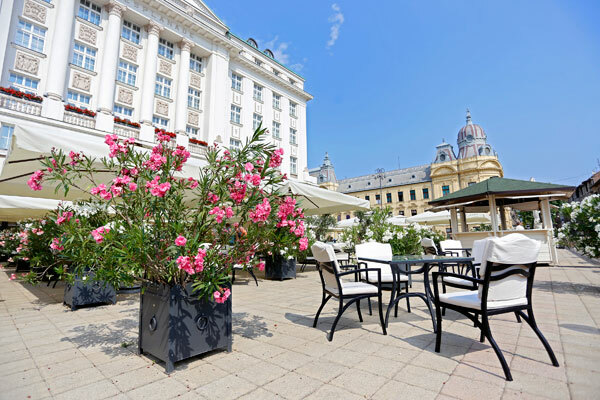 The Oleander Terrace translates the very essence of high society into a popular meeting venue with a champagne bar, a decadent lunch and breathtaking views of Zagreb’s Old Town. 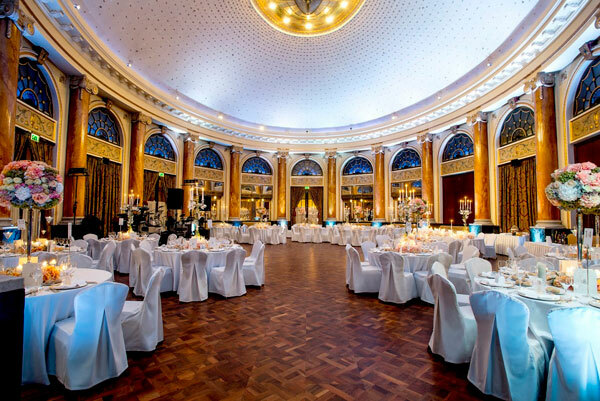 The Esplanade Zagreb Hotel also features the most spectacular ballroom in Zagreb. 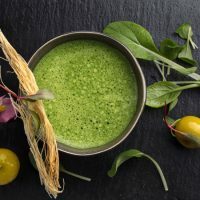 Guests with a well-being feel can enjoy a free Fitness and a luxurious sauna where they can receive care with luxury cosmetics L’Occitane en Provence. 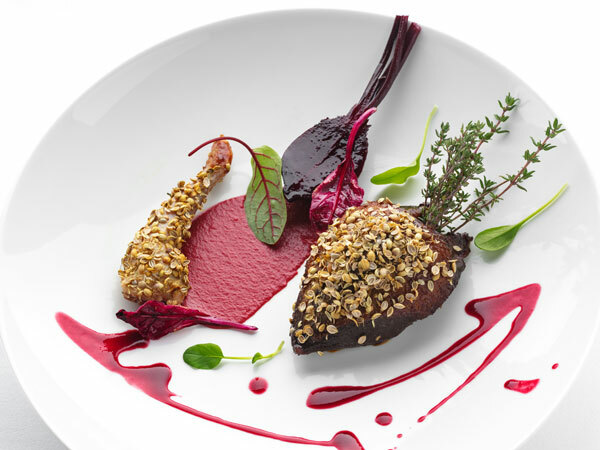 Throughout history, the hotel has received numerous awards for service, design and gastronomy.